Take a step back. Look. It’s motor in plain site-the oil lines expose and its polished cases reflecting a fun-house image of yourself. The air cleaner is prominent and the cables that run from the hand controls to the power plant are waiting for your every command. The suspension is visible as are the disc brakes-a conflict in horsepower and stopping power, when all it wants to do is go, and go fast. Gears, pistons, bearings and oil. Precision cut with an idea of what is truly possible from internal combustion. Adding to this, a couple of gallons of gasoline sitting between your legs, and you fire it up. The sound, the smell and the vibration of a machine as it runs, brought to life by the push of a button or a kick of a lever.We feel it. Emotion. We talk of motorcycles as a mechanical object-which they are. but when the inventors of two-wheel motion started assembling the early versions, they were in fact changing how we would feel about transportation that “moves” us. There is a lot of parts and pieces that are required to turn a machine into emotion but it happens with a single spark. It happens every time the motor fires up. A spark can transform peace and quiet-to gears turning, pistons pumping and exhaust throwing out the sound of life. This directly affects our physical and mental state, far beyond what was originally intended by those Harley and Davidson boys. The mechanical side of motorcycles is something amazing in itself. But the emotional side can be even more complicated to understand. It moves us in a three-dimensional way; physically, socially and emotionally. For over one hundred years, mechanics have never had to replace the emotional part of a motorcycle. Thanks for taking the time to read my post. Yes, I have a Harley-Davidson Road King and I feel the “emotion” everytime I fire it up. 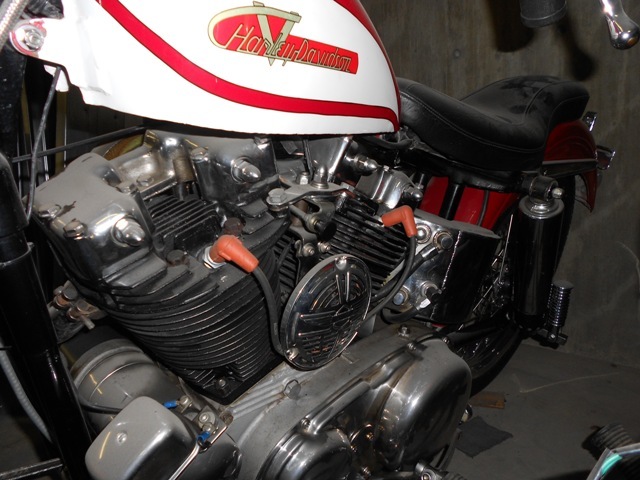 My first was a 1974 X90 Harley-Davidson you can see in some of my other posts. Thanks again!